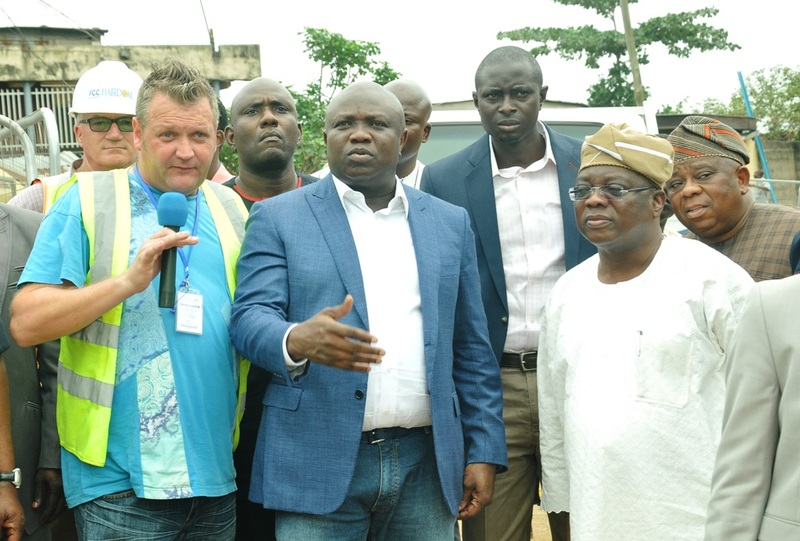 This is Oribanwa–Lakowe Link Road in Ibeju-Lekki Local Government. The new road is 500m long and 10m wide. 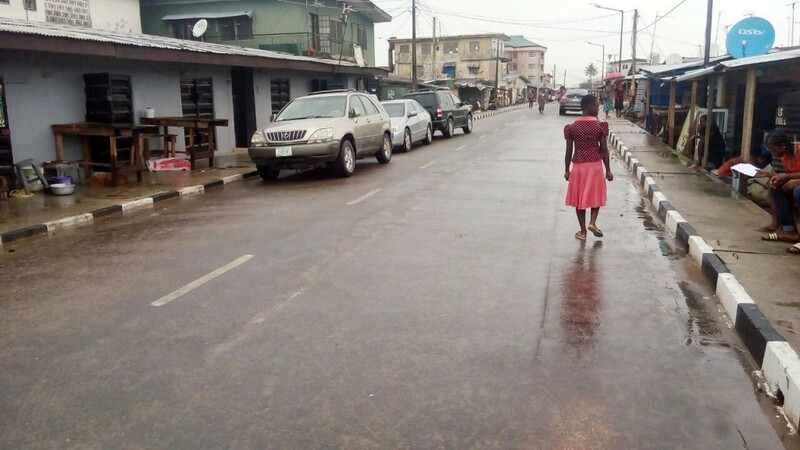 This is Eleko–Iberekodo Road in Ibeju-Lekki Local Government. The new road is 650m long and 7.5m wide. 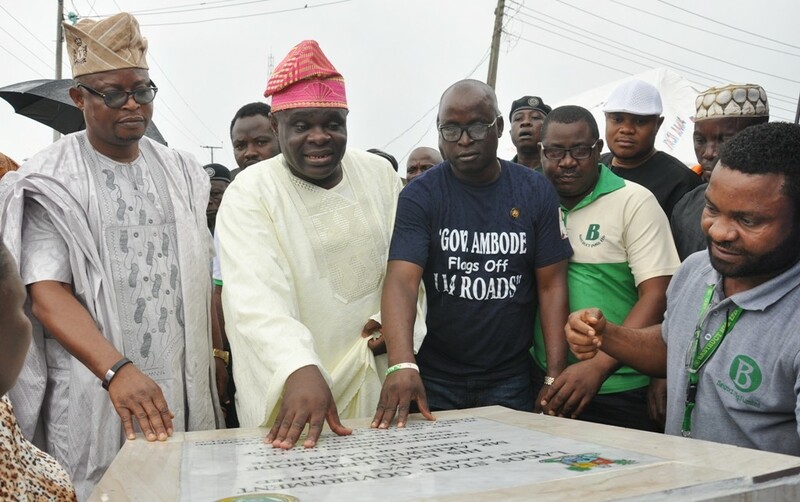 Newly constructed and commissioned Eleko–Iberekodo Road in Ibeju-Lekki Local Government. 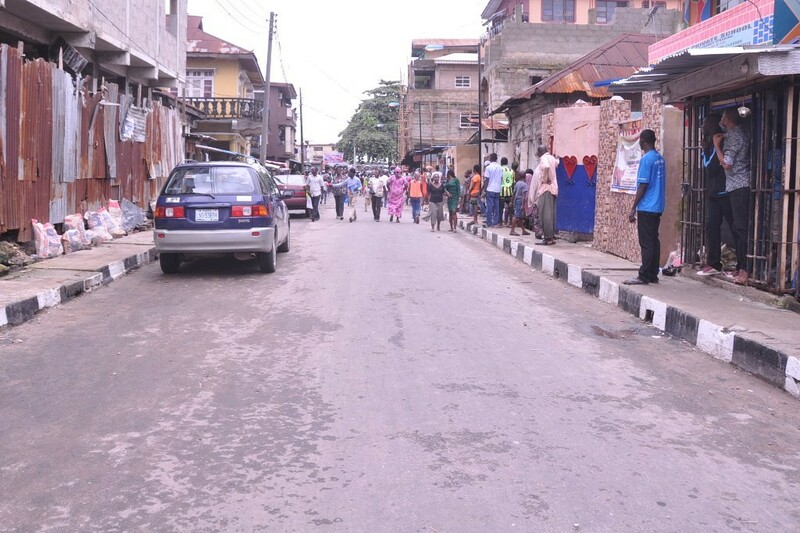 This is Omoalade Street in Bariga Local Council Development Area. 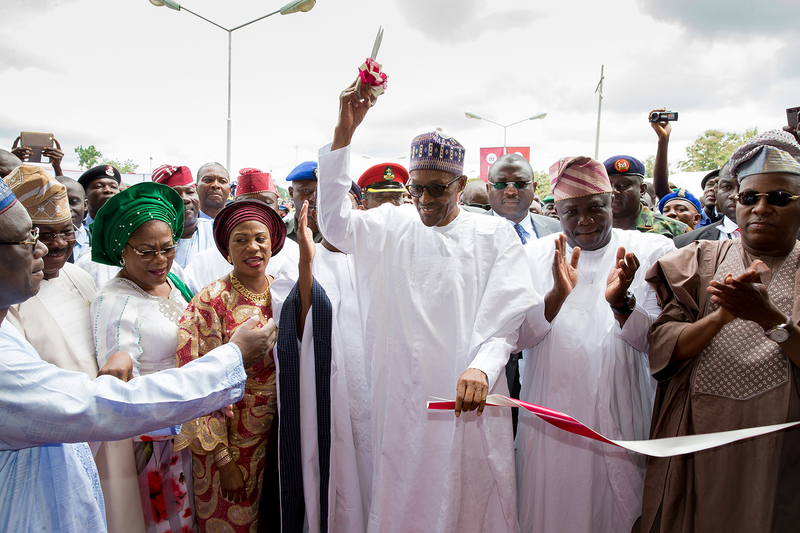 The new road is 425m long and 9m wide. 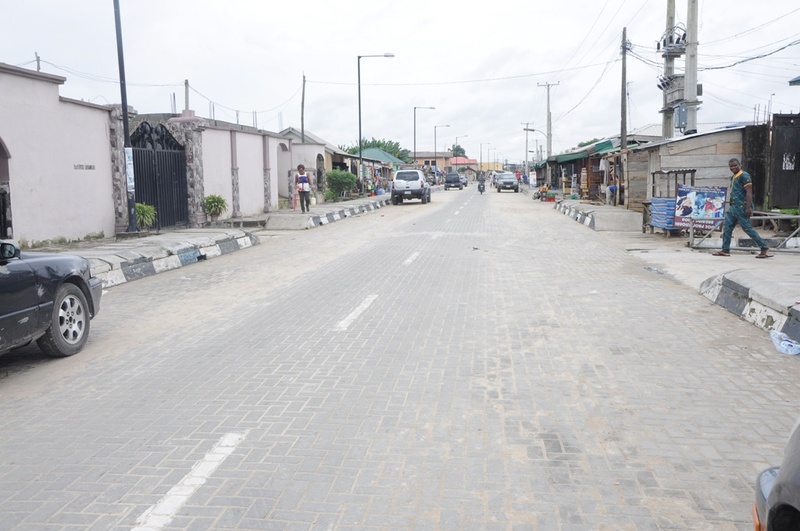 Newly constructed and commissioned Omoalade Street in Bariga Local Council Development Area. 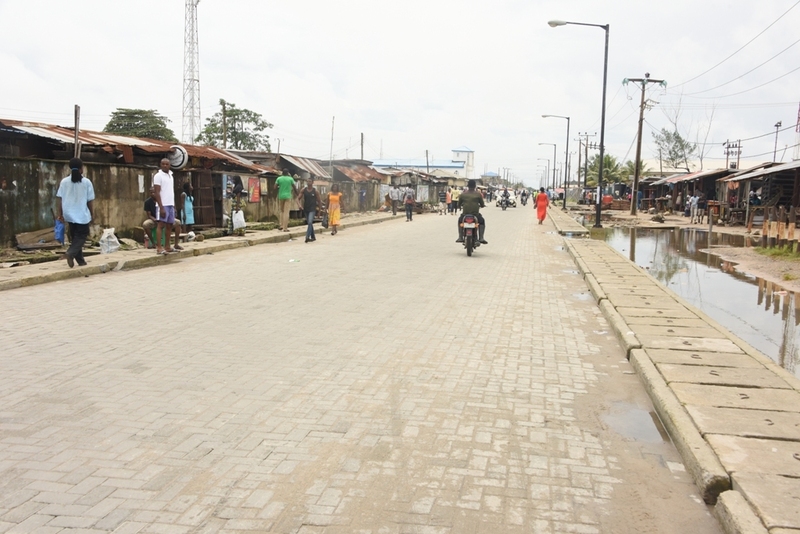 This is Ifoshi/Fadu Road in Ejigbo Local Council Development Area. The new road is 648m long and 9m wide. 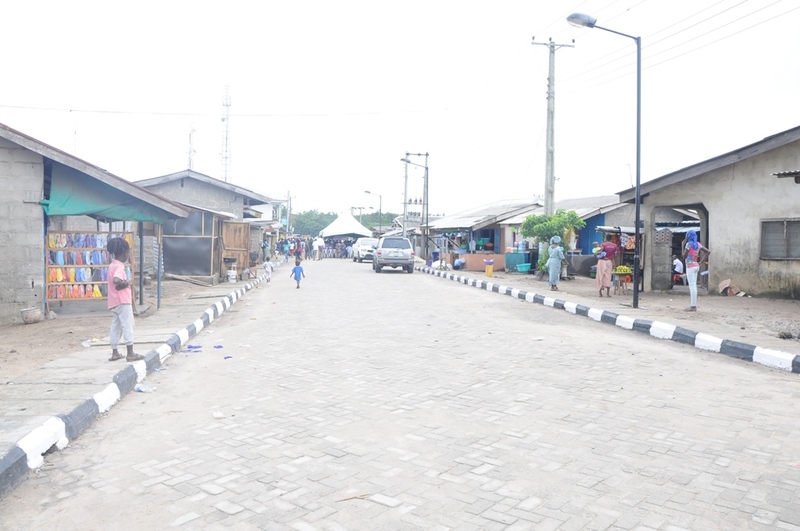 This is Dillion Street, Krikiri in Oriade Local Council Development Area. The new road is 400m long and 12m wide. 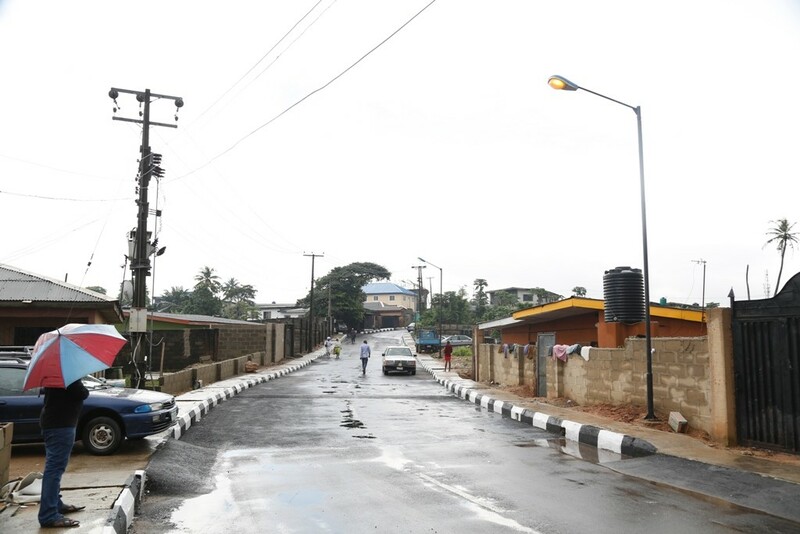 Newly constructed and commissioned Dillion Street, Krikiri in Oriade Local Council Development Area. 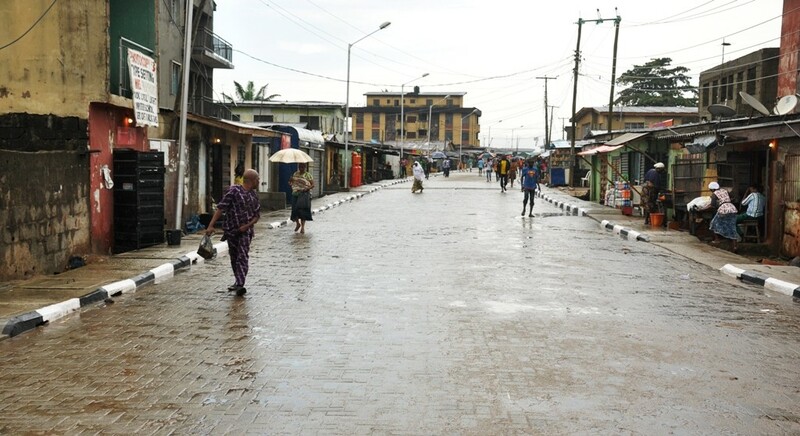 This is Balogun Street, Kuje in Oriade LCDA, the new road is 477m long and 7.5m wide. 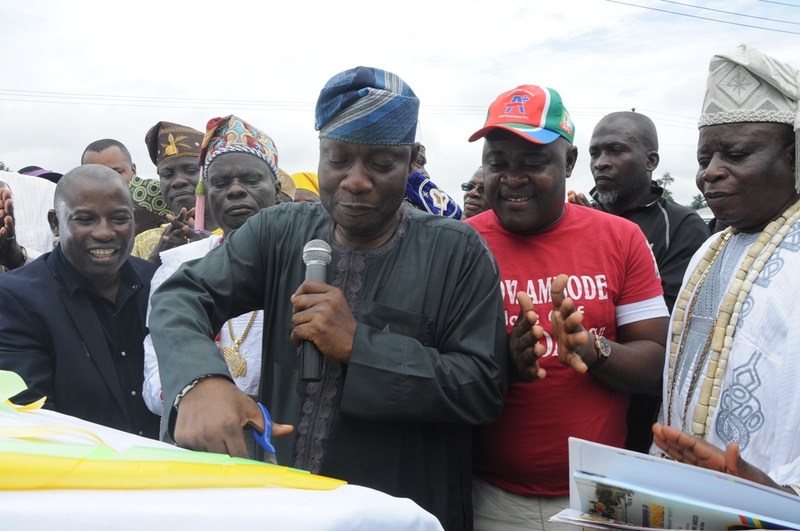 The newly constructed road in Balogun Street, Kuje, Oriade LCDA has been commissioned. 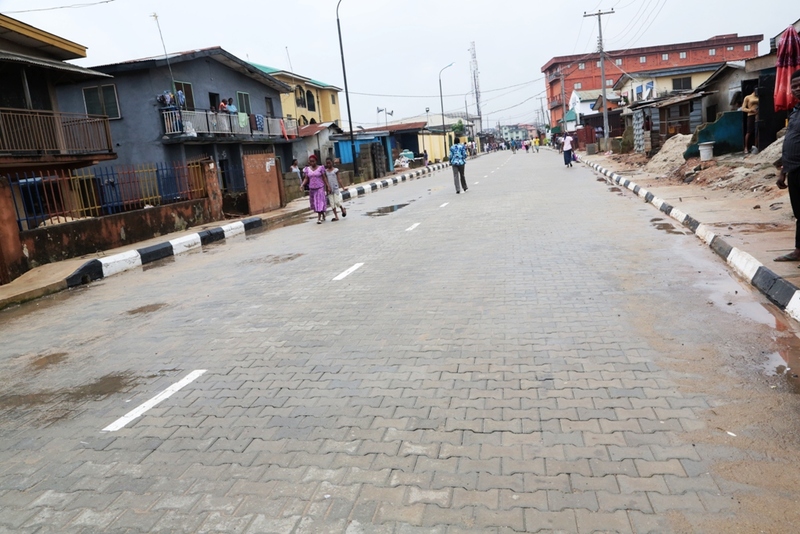 This is Thomas Street in Lagos Island East LCDA, the new road is 141m long and 7.5m wide. 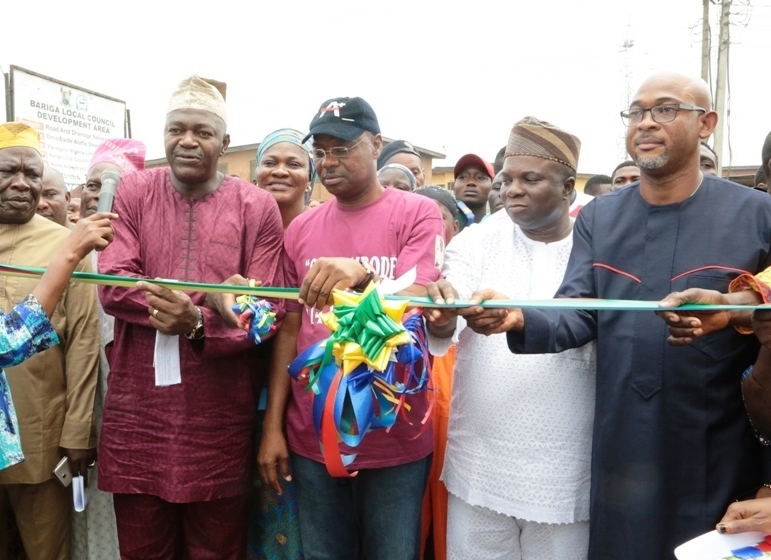 The newly constructed Thomas Street in Lagos Island East LCDA has been commissioned. 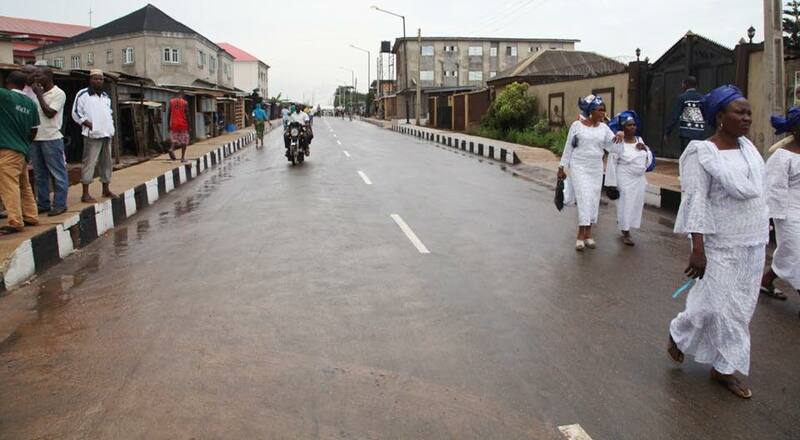 This is Oba Elegushi road, the new road is 580m long and 9m wide. 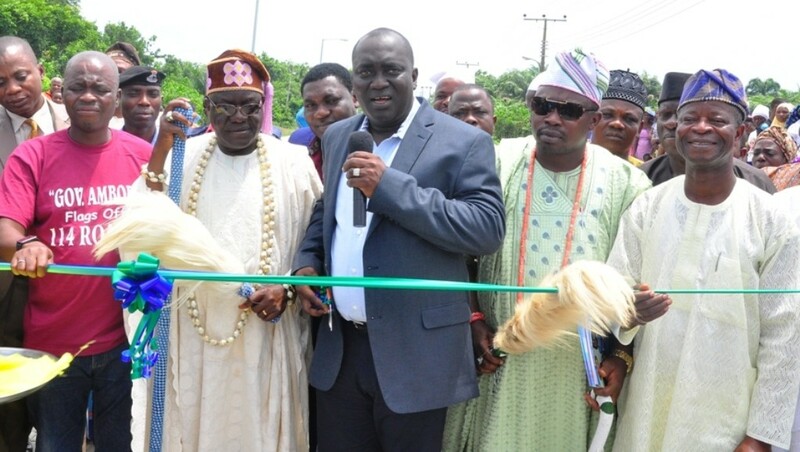 The newly constructed Oba Elegushi road has been commissioned. 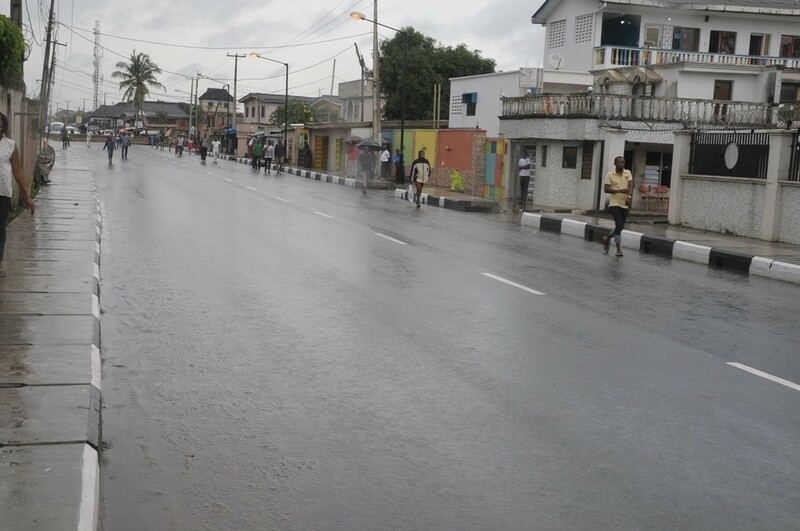 This is Kweme road in Badagry West LCDA, the new road is 685m long and 9m wide. 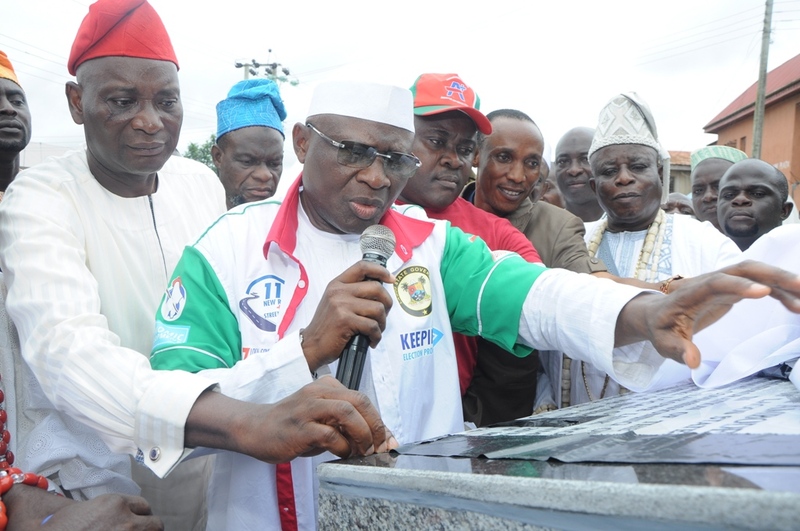 The newly constructed Kweme road in Badagry West LCDA has been commissioned. 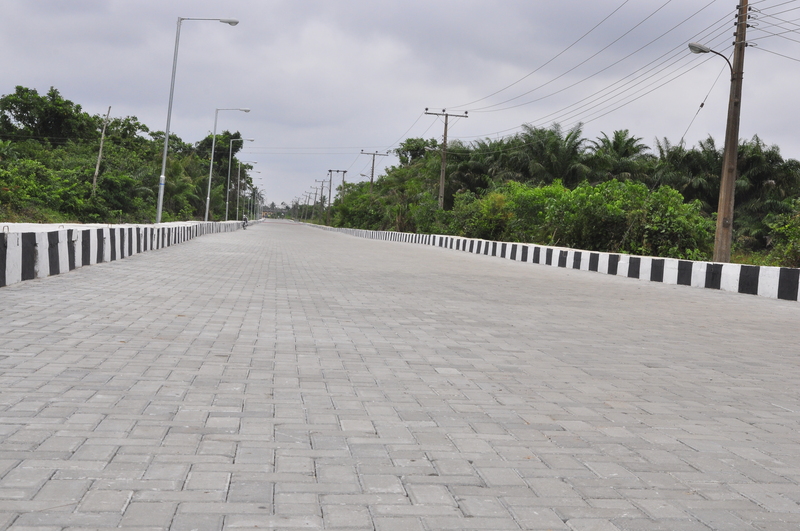 This is Apa Palace Road in Badagry West LCDA, the new road is 650m long and 9m wide. 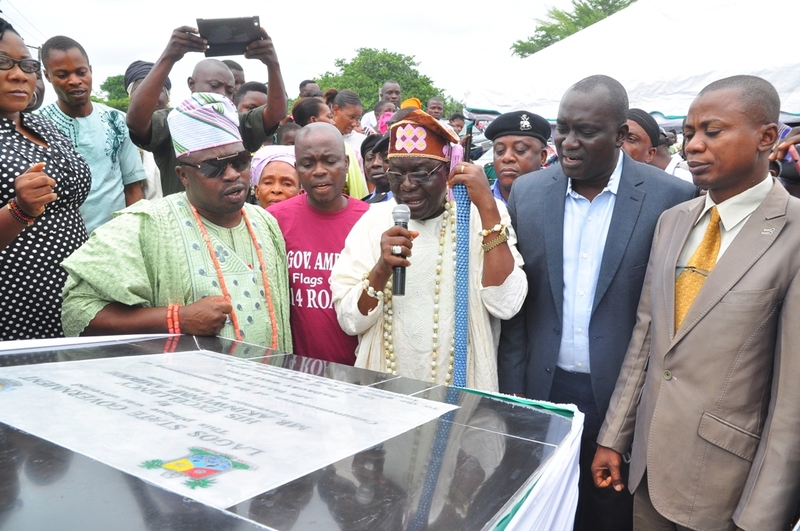 Newly constructed and commissioned Apa Palace Road in Badagry West Local Council Development Area. 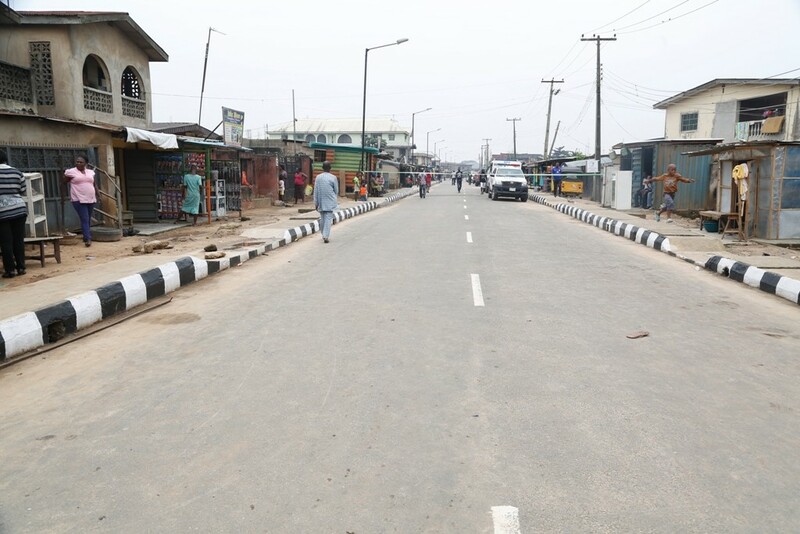 This is Alhaji Rasaq Street in Ibà LCDA, the newly constructed road is 243m long and 8m wide. 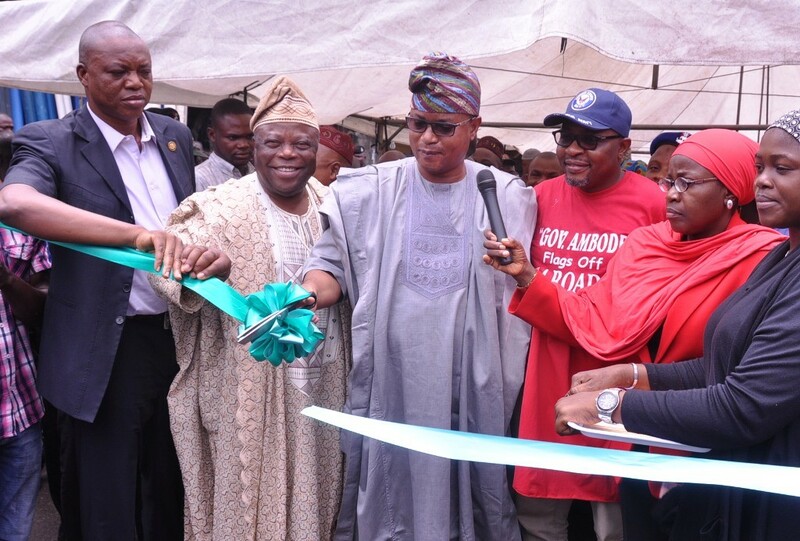 The newly constructed road in Alhaji Rasaq Street in Ibà LCDA has been commissioned. 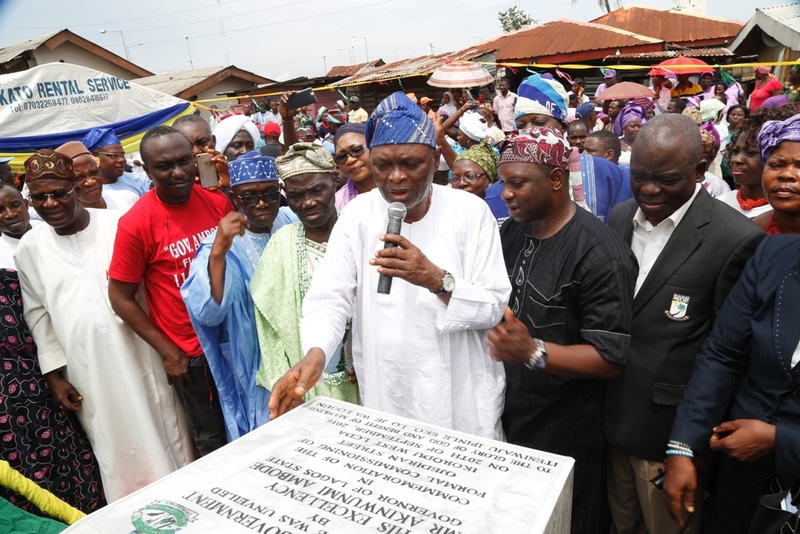 This is Osunba Street, Igando-Ikotun LCDA, the newly constructed road is 605m long and 8m wide. 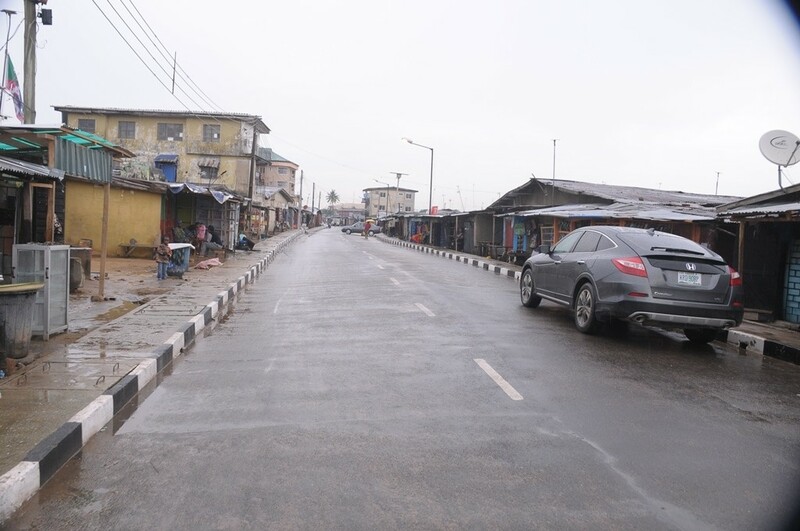 This is Taiwo Molajo Street in Ikorodu LCDA, the newly constructed road is 680 meters long and 10 meters wide. 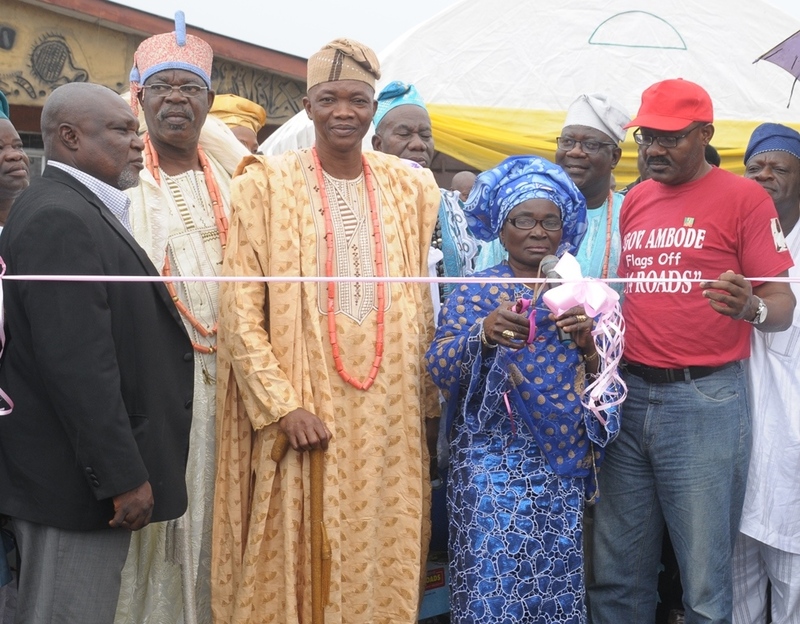 The newly constructed road in Taiwo Molajo Street, Ikorodu West LCDA has been commissioned. 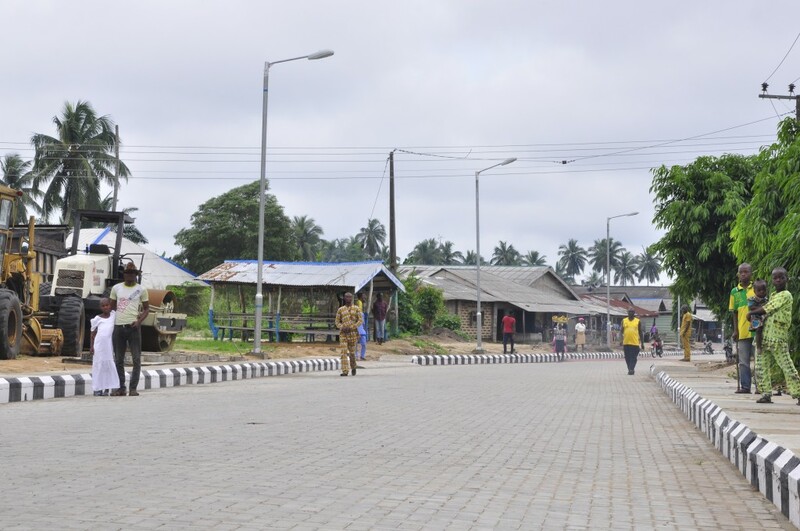 This is Ologolo road, Ologolo in Eti-Osa LCDA, the newly constructed road is 450m long and 8m wide. 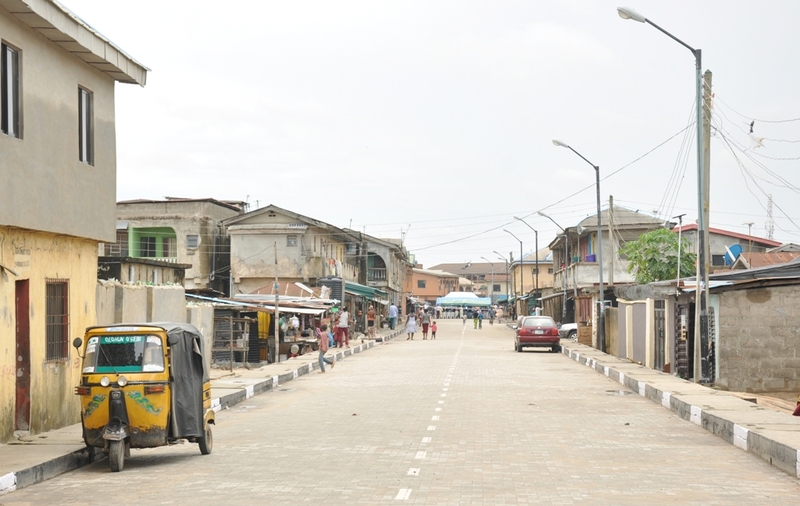 This is Seriki Kemberi Street in Iba LCDA, the newly constructed road is 325 meters long and 8 meters wide. 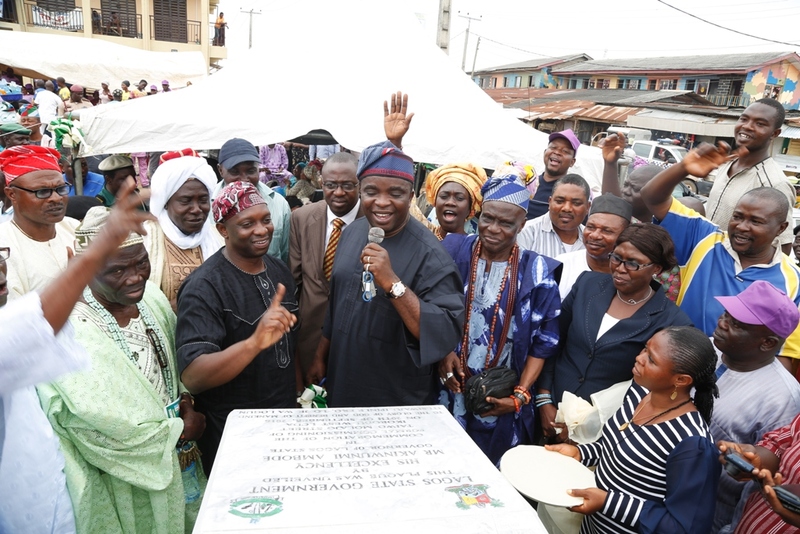 The road in Seriki Kemberi Street in Iba LCDA has been completed and commissioned. 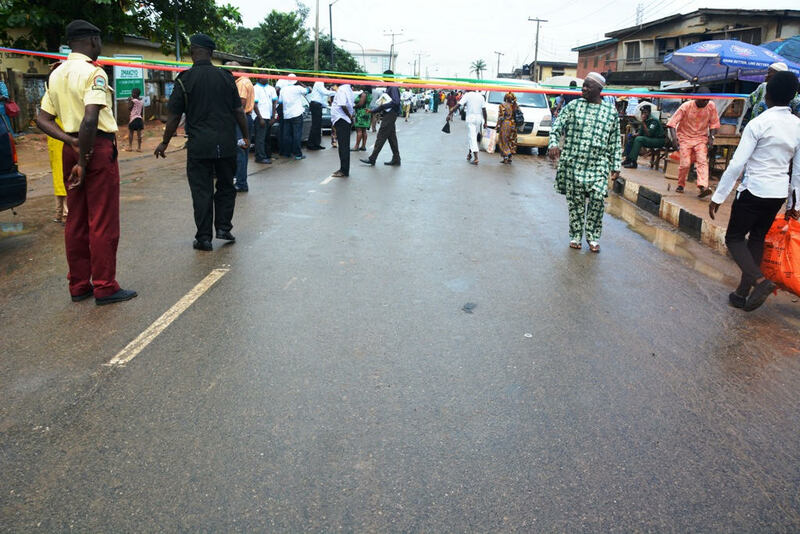 This is Ojediran Street in Ikorodu West LCDA, the newly constructed road is 550m long and 10m wide. 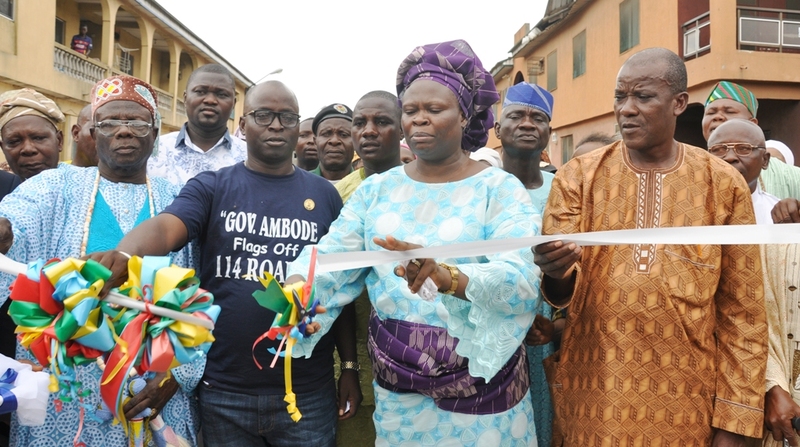 The road in Ojediran Street in Ikorodu West LCDA has been completed and commissioned. 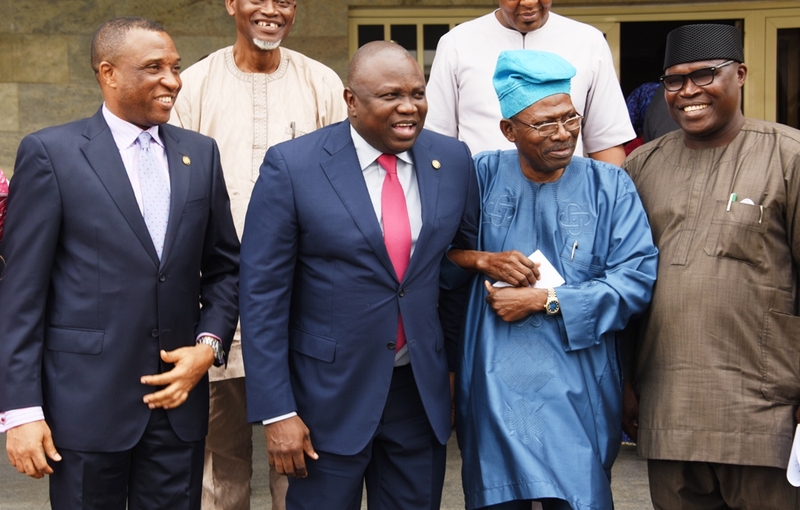 Lagos State Governor, Mr. Akinwunmi Ambode on Tuesday inaugurated a Special Committee saddled with the responsibility of restoring the original master plan of Ikoyi, Victoria Island and Lekki areas of the State, just as he vowed to bring environmental sanity to all nooks and crannies of the State. 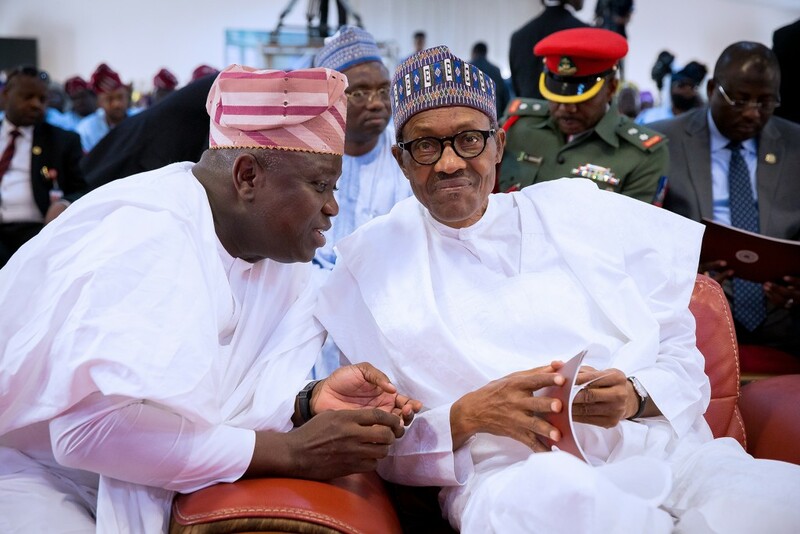 Governor Ambode, who spoke at the Lagos House in Ikeja, said his administration was passionately determined to rescue the fragile environment in the State from avoidable impediments, adding that his resolve was non-negotiable. 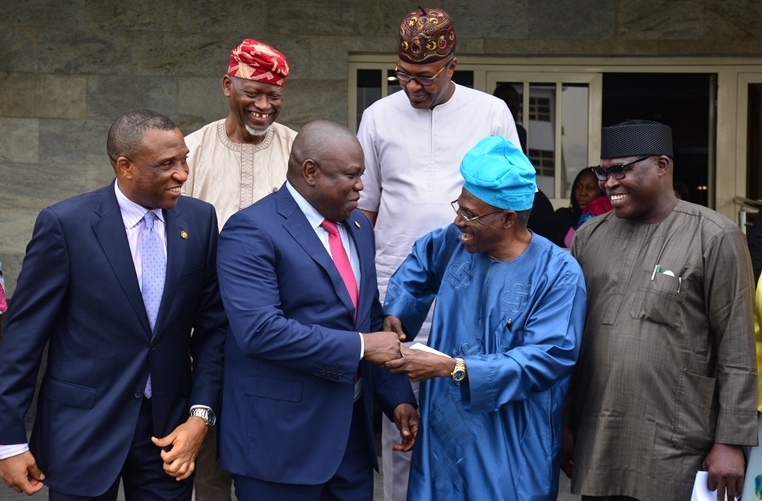 The Governor said over time, government had observed gross abuse of urban planning and environmental laws which necessitated the decision to embark on a major clean-up of the environment to restore it to its desired form. 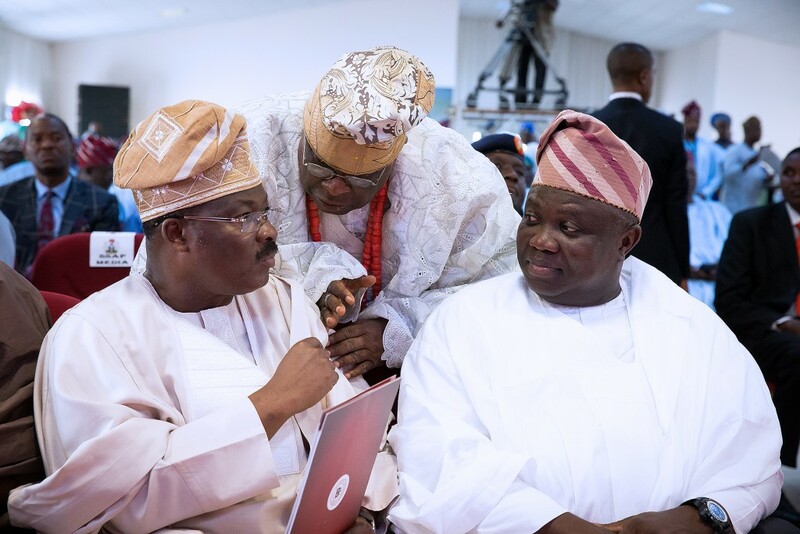 “Cases of abandoned properties have become very rampant with miscreants and criminal elements taking over these properties as their base to cause havoc. The neat road sides of the past now parade pockets of kiosks, illegal parking lots, unapproved mechanic workshops, roadside beer parlours and commercial centres. In addition, originally residential areas now have industrial and commercial concerns located there, distorting the balance of the environment. 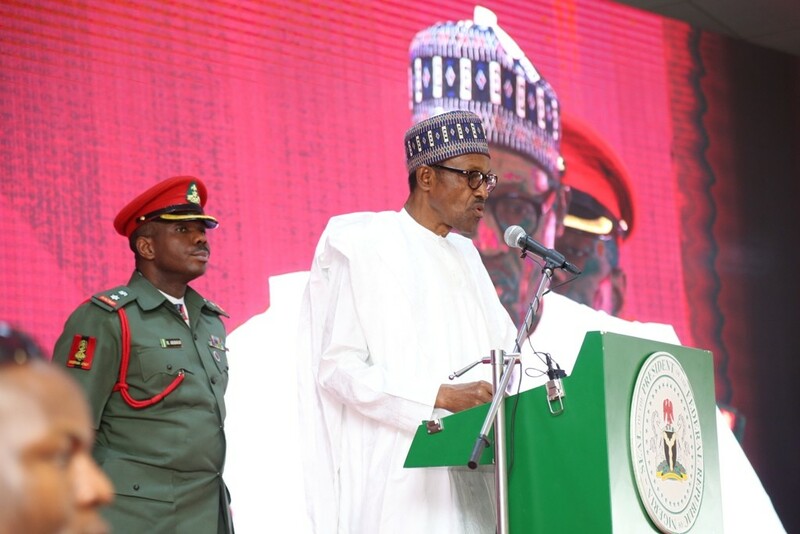 “These bad environmental practices, thriving in these prime areas, can no longer be tolerated and will be brought to an end immediately. 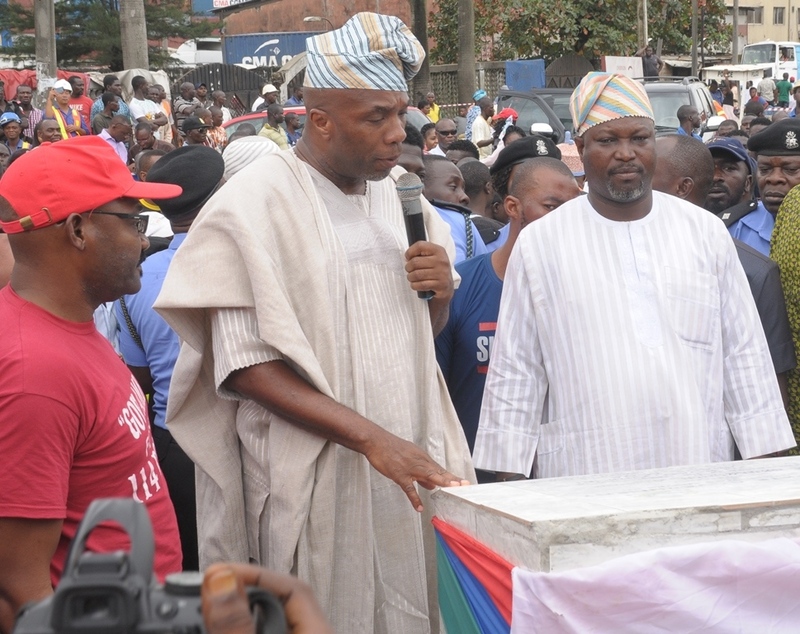 These areas MUST regain their lost glory as this administration demands a return of environmental normalcy. 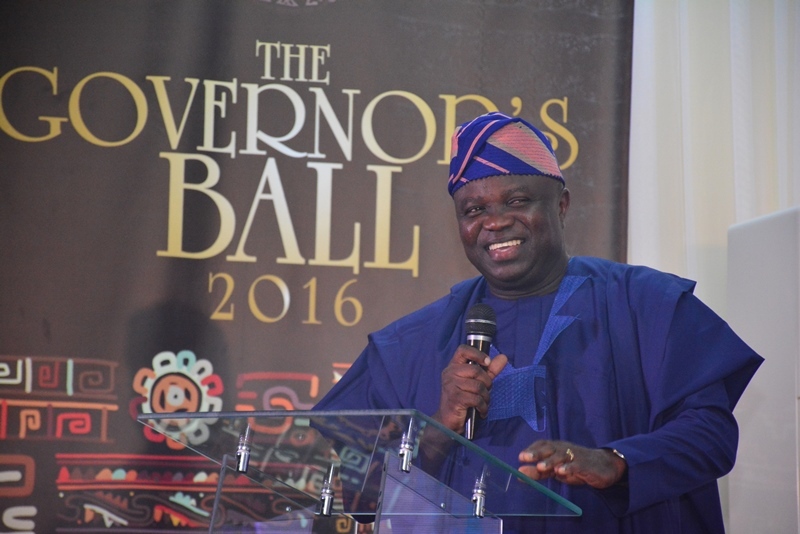 “A safe, clean and prosperous Lagos is non-negotiable; that is the commitment of our administration. 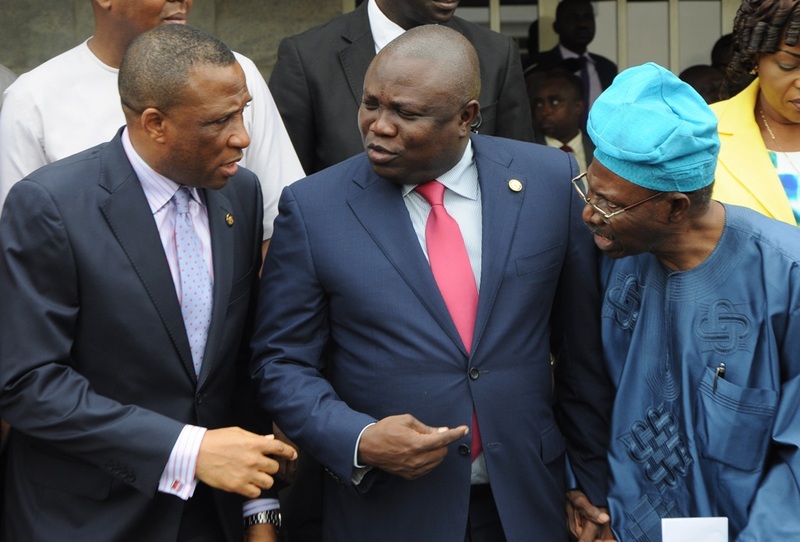 We will not allow these environmental infractions to continue. We cannot allow our beautiful environment to be destroyed by people who have no regard for beauty, serenity, law and order,” Governor Ambode said. 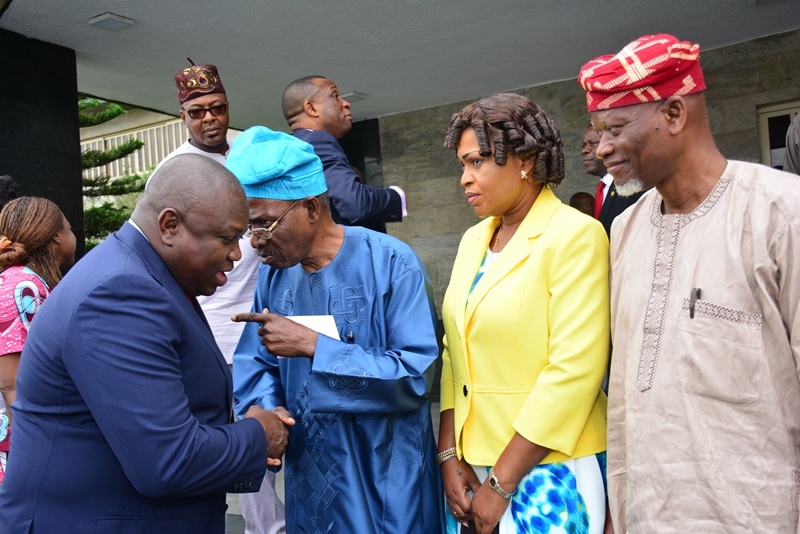 Lagos State Governor, Mr. Akinwunmi Ambode (middle); Secretary to the State Government, Mr. Tunji Bello (left) and Representative of Victoria Island/Ikoyi Residents Associations (VIIRA), Dr. Ishola Salami (right) during the inauguration of a Committee on Clean-up of Victoria Island/Ikoyi/Lekki Areas at the Lagos House, Ikeja, on Tuesday, August 30, 2016. 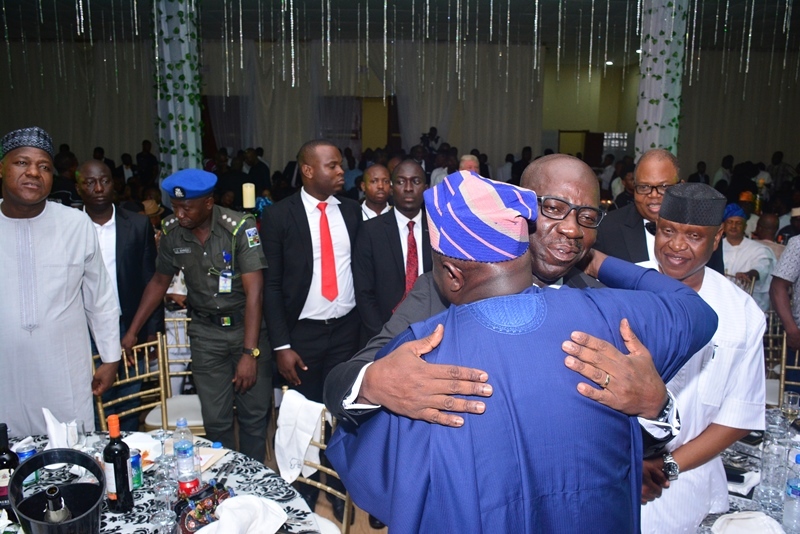 While expressing his administration’s determination to make all locations, schemes and estates in the State clean and safe, the Governor vowed to do everything possible to bring environmental sanity back to every part of the State. “This is not a one-off exercise. 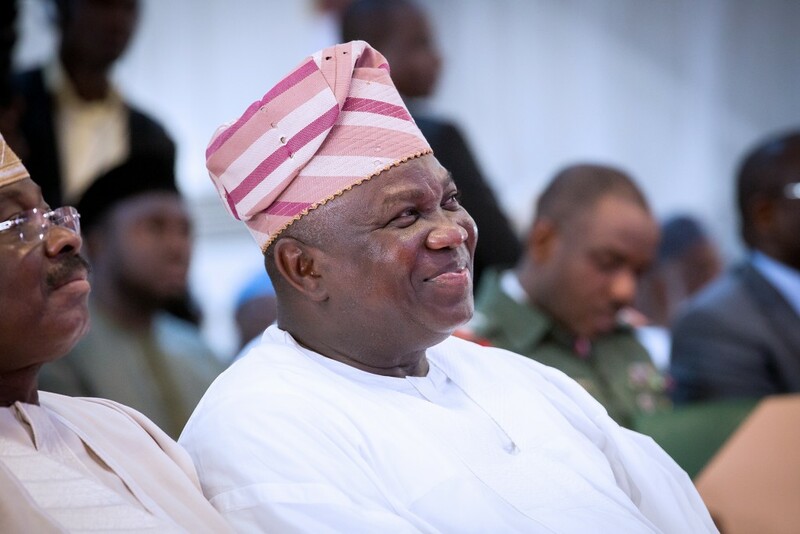 The Victoria Island, Ikoyi and Lekki clean-up is the pilot scheme and this rescue operation has come to stay until we achieve the Lagos of our dreams,” he said. 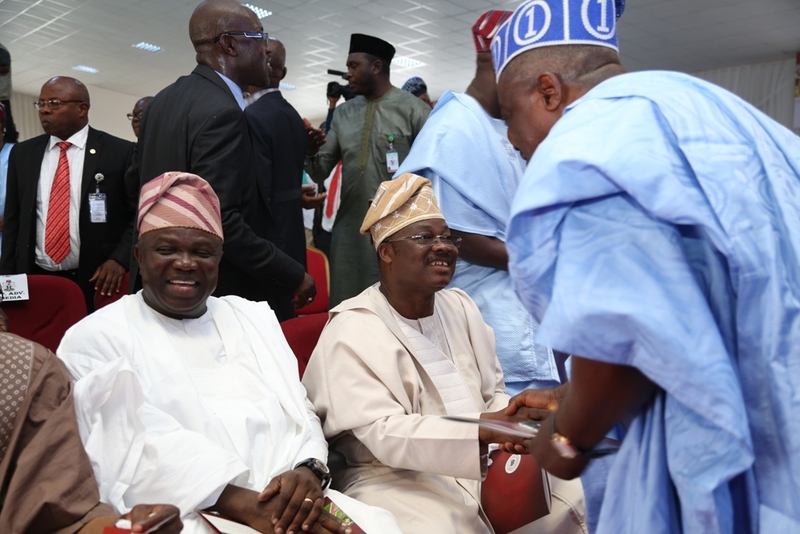 Lagos State Governor, Mr. Akinwunmi Ambode (2nd left); Secretary to the State Government, Mr. Tunji Bello; Representative of Victoria Island/Ikoyi Residents Associations (VIIRA), Dr. Ishola Salami and Sole Administrator, Ikoyi/Obalende LCDA, Mr. Goke Ona-Olawale during the inauguration of a Committee on Clean-up of Victoria Island/Ikoyi/Lekki Areas at the Lagos House, Ikeja, on Tuesday, August 30, 2016. Besides, Governor Ambode appealed to all stakeholders to give the committee the maximum support required for the success of the initiative and for the overall benefit of the State. 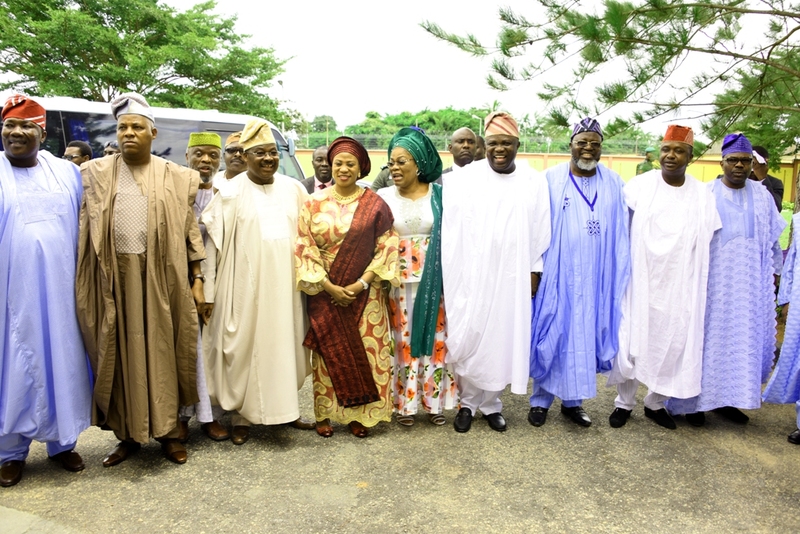 The Committee is chaired by the Secretary to the State Government, Mr. Tunji Bello, while other members are Commissioner for the Environment, Dr. Babatunde Adejare; Commissioner for Tourism, Arts and Culture, Mr. Folorunso Folarin Coker; Commissioner for Waterfront Infrastructure Development, Engr. 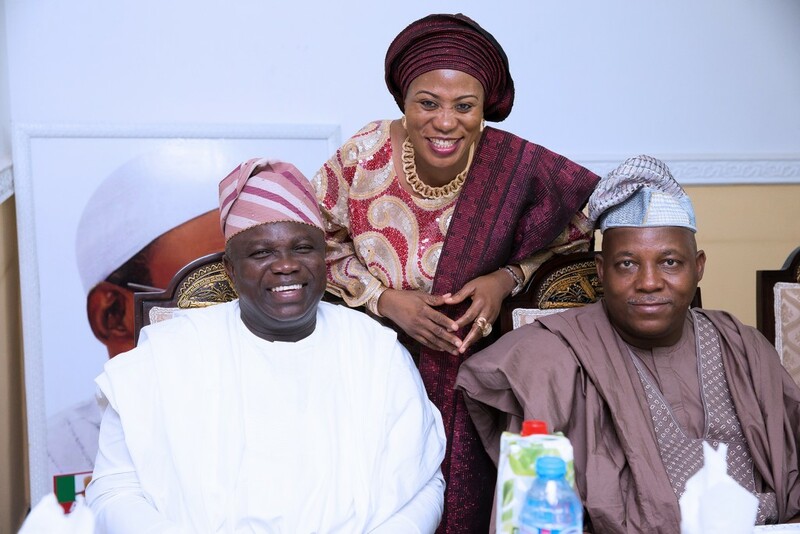 Ade Akinsanya; Special Adviser to the Governor on Urban Development, Mrs. Yetunde Afusat Onabule; Senior Special Assistant to the Governor on Political Matters, Adekunle Olayinka; General Manager, Lagos State Waste Management Authority (LAWMA), Mr. Segun Adeniji; and General Manager, Lagos State Urban Renewal Authority (LASURA), Mr. Lateef Sholebo. 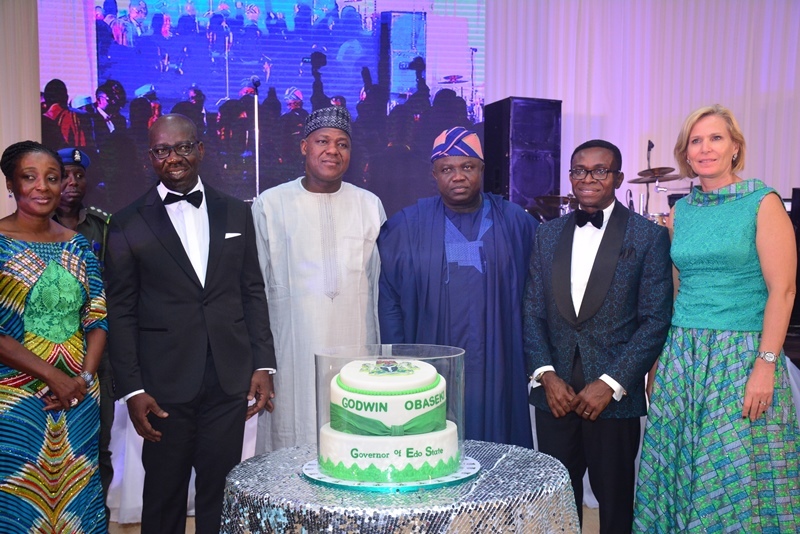 Lagos State Governor, Mr. Akinwunmi Ambode (2nd left); with Secretary to the State Government, Mr. Tunji Bello (left); Representative of Victoria Island/Ikoyi Residents Associations (VIIRA), Dr. Ishola Salami (2nd right); Sole Administrator, Ikoyi/Obalende LCDA, Mr. Goke Ona-Olawale (right); Commissioner for Tourism, Arts & Culture, Mr. Folorunsho Folarin-Coker (right behind) and another representative of VIIRA, Alhaji Abdul-Lateef Muse (left behind) during the inauguration of a Committee on Clean-up of Victoria Island/Ikoyi/Lekki Areas at the Lagos House, Ikeja, on Tuesday, August 30, 2016. 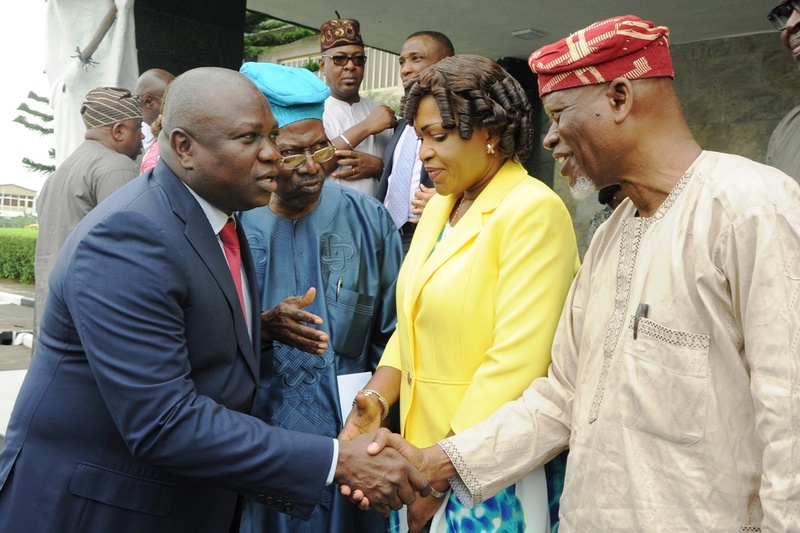 Others include Assistant Commissioner of Police, Sulaimon Dogo; Chairman, Lagos State Special Task Force on Environmental Offences, Supol Olayinka Egbeyemi; Sole Administrators of Iru/Victoria Island and Ikoyi/Obalende Local Council Development Areas (LCDAs) – Princess Aderemi Adebowale and Hon. 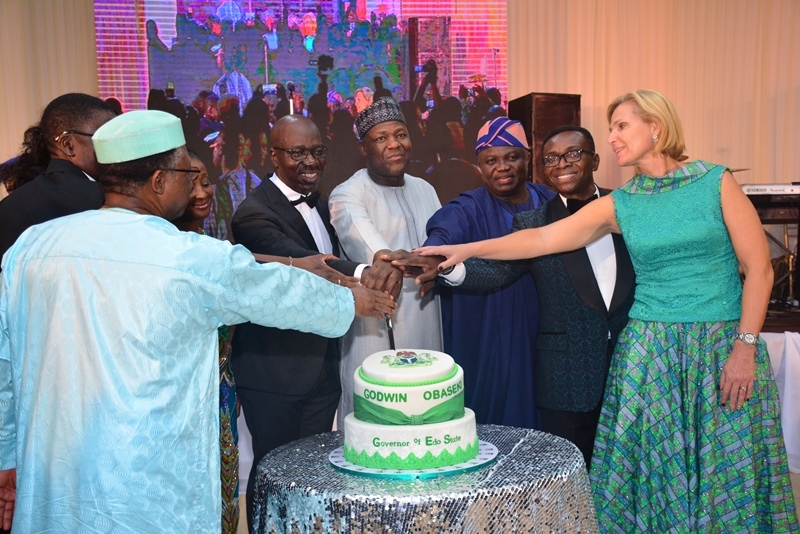 Goke Olawale; Representative of Victoria Island and Ikoyi Residents’ Association (VIIRA) – Dr. Salami, Alhaji Muse and Mr. Jide Bibire Sanmiwa; Chairmen of Community Development Councils (CDCs) for the two LCDAs – Mr. Jolly Johnson and Rev Seriki. 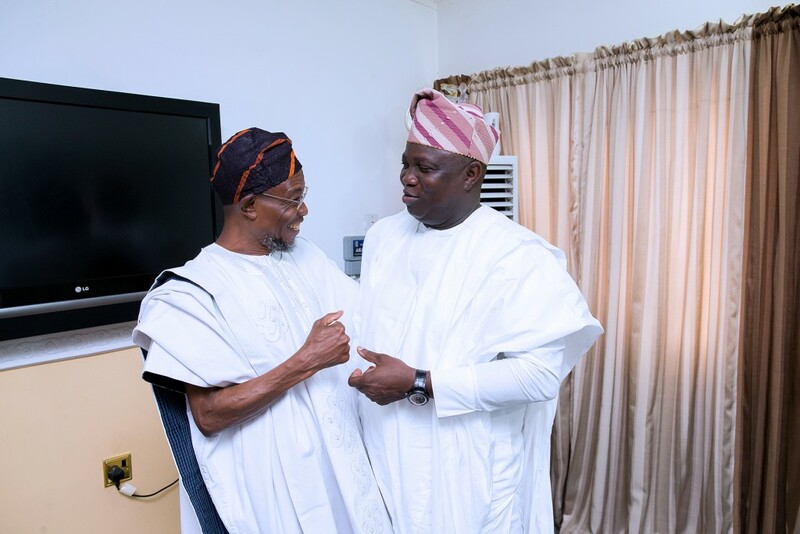 Responding on behalf of members of the Committee, Bello thanked Governor Ambode for the confidence reposed in them to do the job, adding that members of the Committee were carefully selected and fully ready to carry out the task. 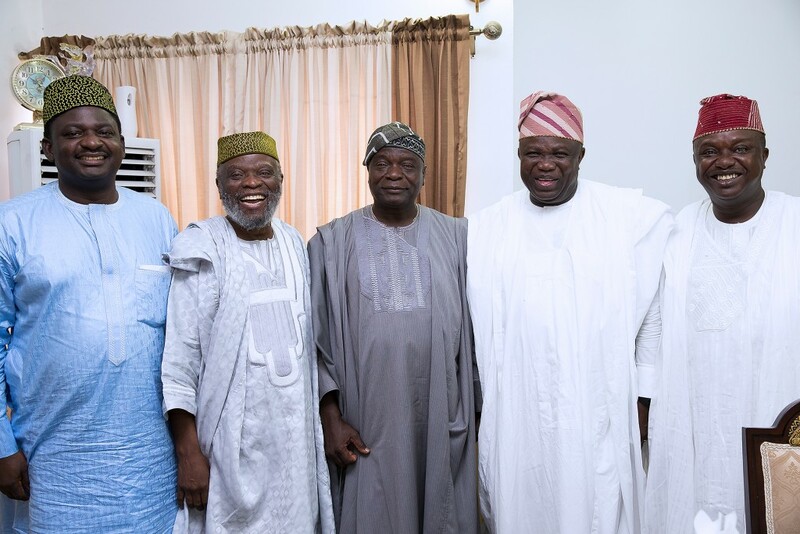 He said the job cannot be done alone by government, and as such, residents should support the Committee with regular feedback. 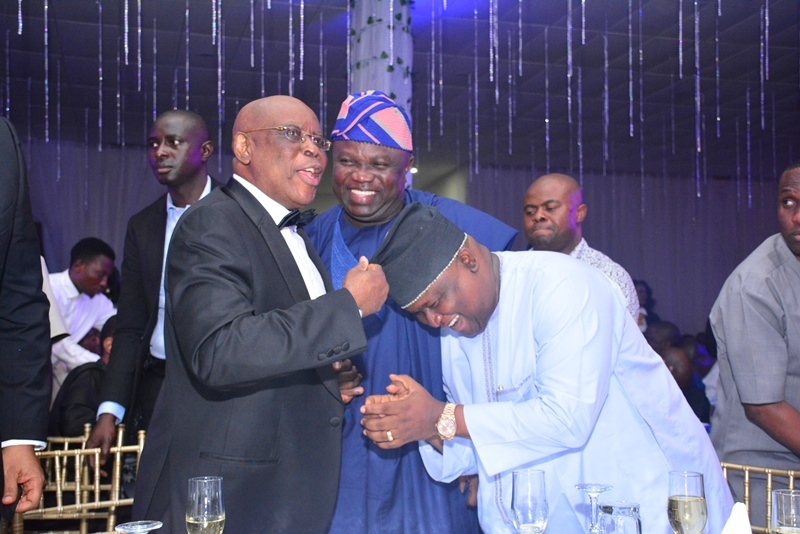 Lagos State Governor, Mr. Akinwunmi Ambode (middle); Director, Project, Fountain Construction Company (FCC), Mr. Thomas Cunningham (left); Commissioner for Works & Infrastructure, Engr. 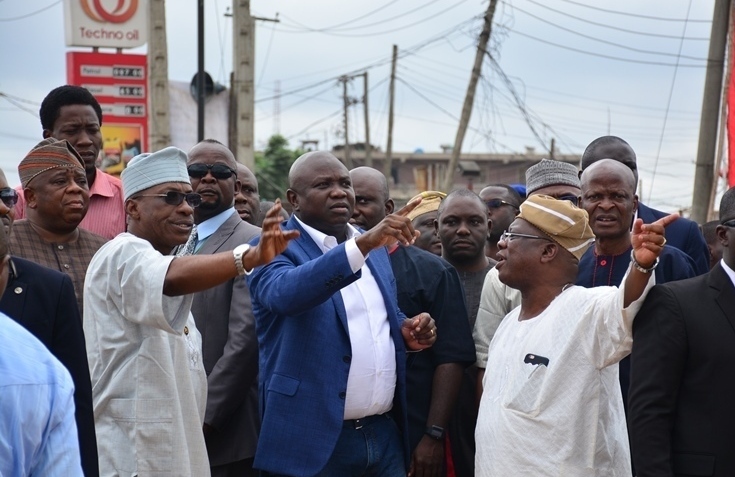 Ganiyu Johnson (right) and Commissioner for the Environment, Dr. Babatunde Adejare (right behind) during the Governor’s inspection of the ongoing construction of multifaceted expansion projects at Oworosonki, Lagos, at the weekend. 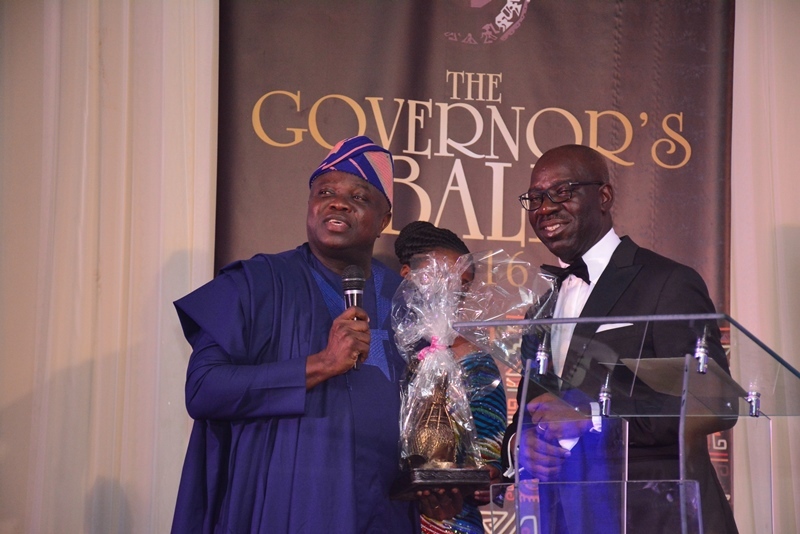 Lagos State Governor, Mr. Akinwunmi Ambode (2nd left); with Commissioner for the Environment, Dr. Babatunde Adejare (left); Special Adviser on Transportation, Prince Anofi Elegushi (right); and Commissioner for Works & Infrastructure, Engr. 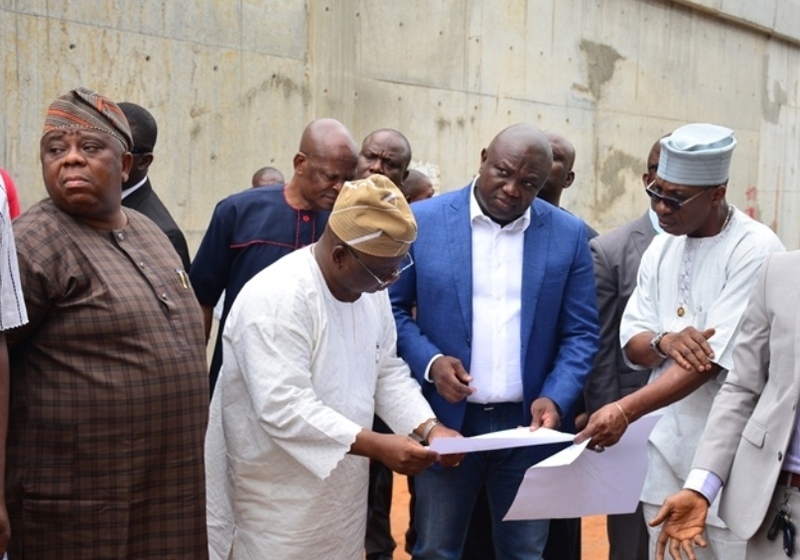 Ganiyu Johnson (2nd right) during the Governor’s inspection of the ongoing construction of multifaceted expansion projects at Oworosonki, Lagos, at the weekend. 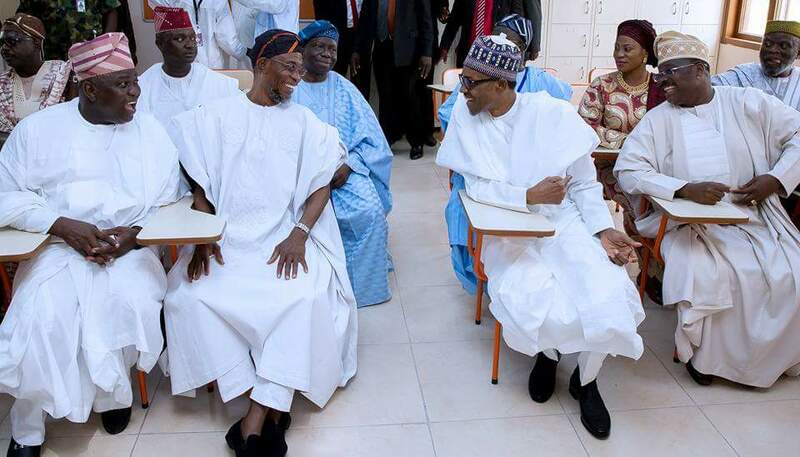 “The idea is that we should have a reservation area for our commercial buses and also a reservation area on top. 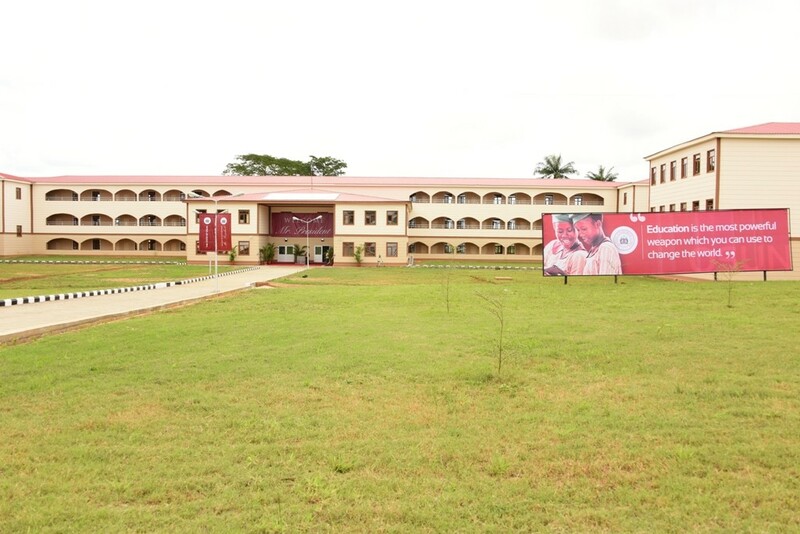 In the phase one of it, we have on both sides about 200 meters of reservation area. For instance, vehicles coming from upland and wanting to discharge passengers have been accommodated as we have cleared the road further down and we have about three to four base underneath the bridge. 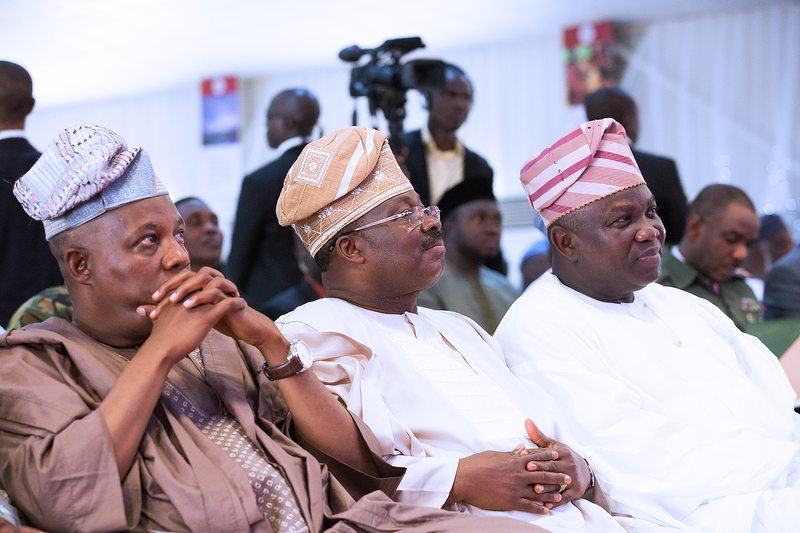 Lagos State Governor, Mr. Akinwunmi Ambode (2nd right); Permanent Secretary, Ministry of Works & Infrastructure, Engr. 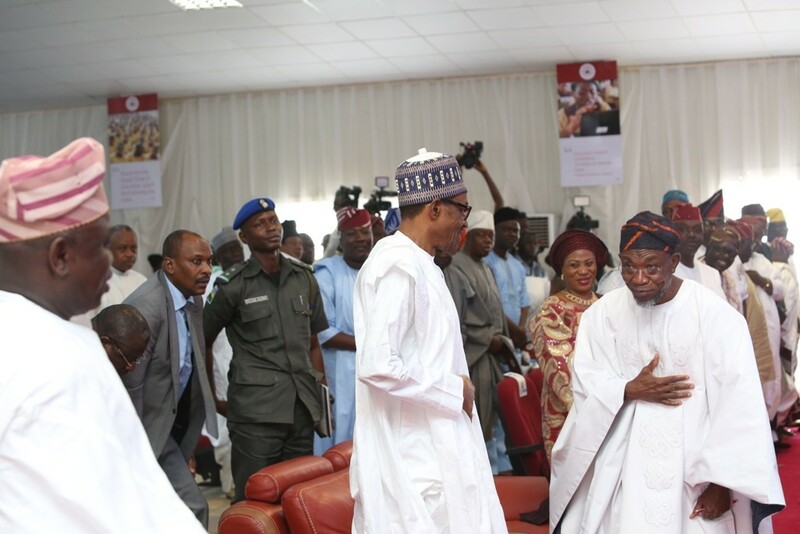 Ajibada Caster Bade-Adebowale (right); Commissioner for Works & Infrastructure, Engr. 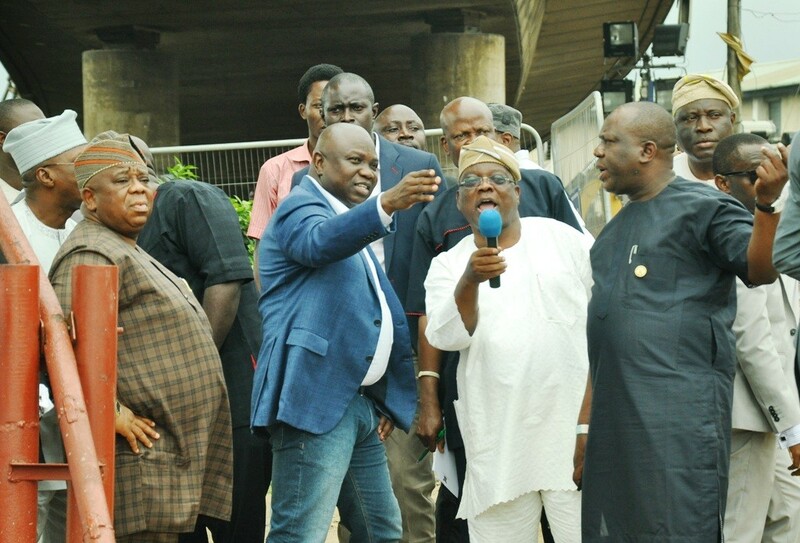 Ganiyu Johnson (2nd left); his counterpart for the Environment, Dr. Babatunde Adejare (left) during the Governor’s inspection of the ongoing construction of multifaceted expansion projects at Berger Bus Stop, along Lagos-Ibadan Expressway, at the weekend. 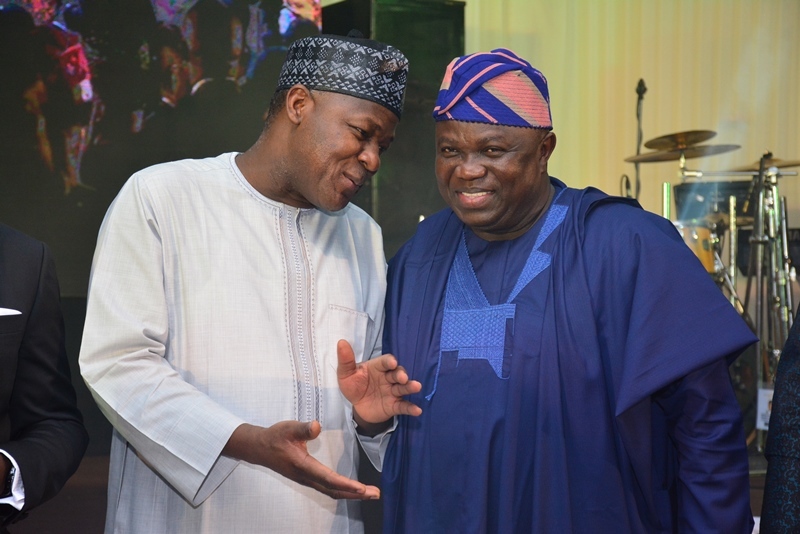 “We have also improved Wakati Adura, Ijaye Road and Isheri Road in such a way that there will not be any traffic gridlock anymore by the time we complete this project and there will be a free flow of traffic around the whole place. 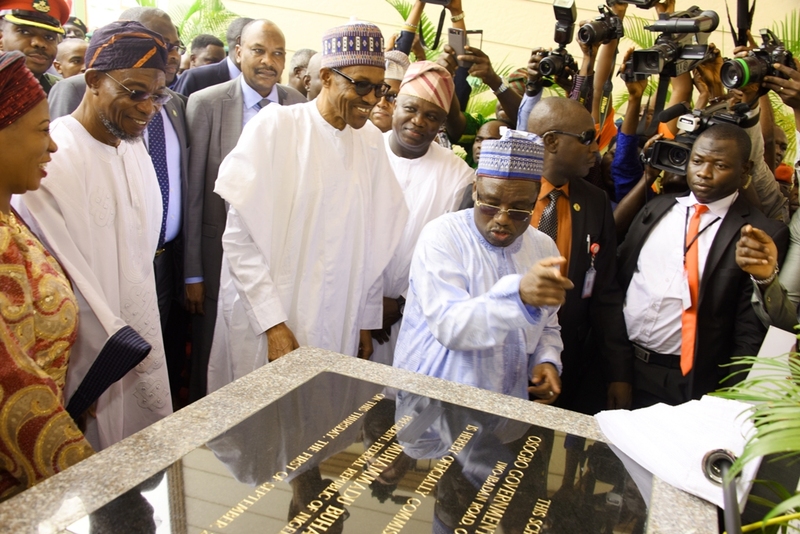 We are also moving the Roundabout at PWC forward a little bit to Wakati Adura area and channelise the place just to improve traffic flow,” Johnson said. 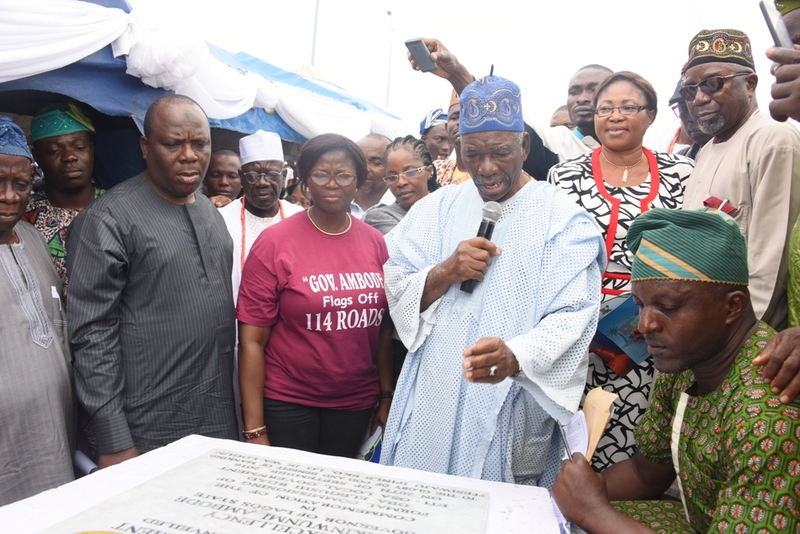 The Governor also inspected the newly completed lay-by at Car Wash Bus Stop in Oworonsoki which made it a total of four modern lay-bys constructed in Oworonsoki axis by the Ambode administration.